There has never been a better time to stock up on your flea treatments and especially right before the season kicks in. 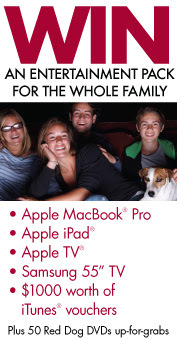 Everybody who purchases a 6 pack of either Advantage, Advantix or Advocate before the 30th of September, 2012, will be in automatically in the draw to WIN a Family Entertainment Pack or 1 of 50 Red Dog DVDS! 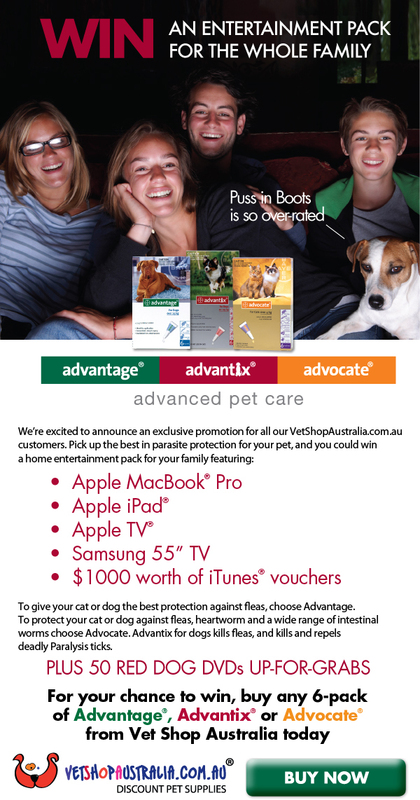 Check out the full terms and conditions or visit VetShopAustralia.com.au and purchase your Advantix, Advocate or Advantage NOW!